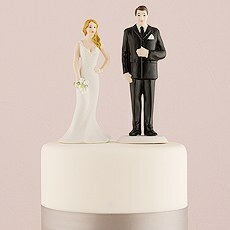 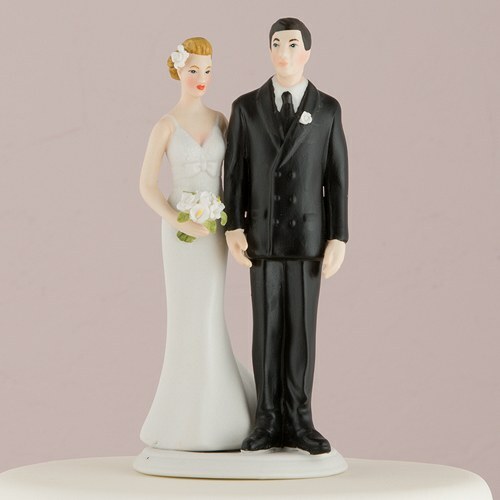 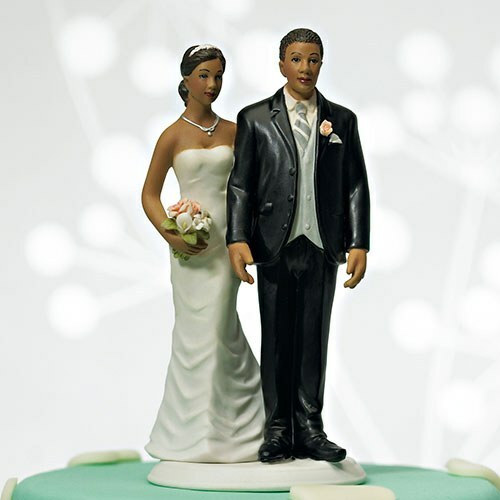 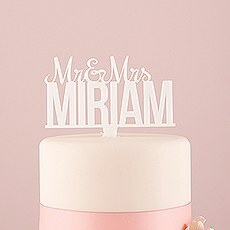 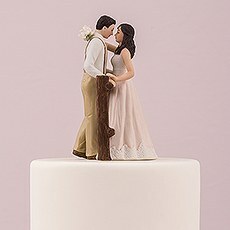 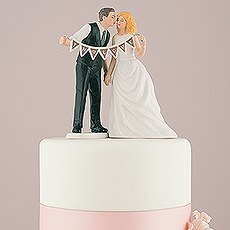 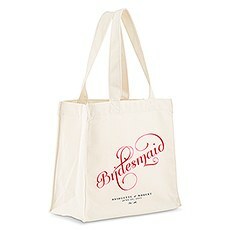 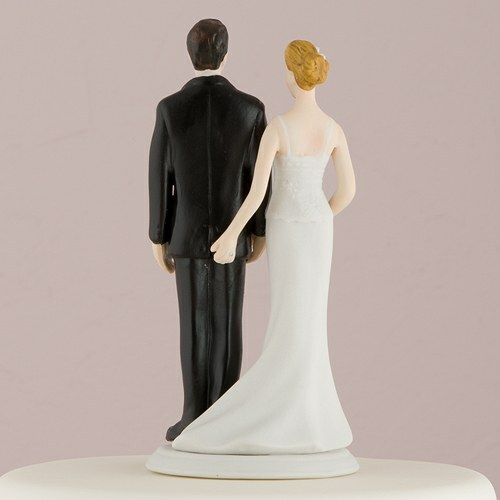 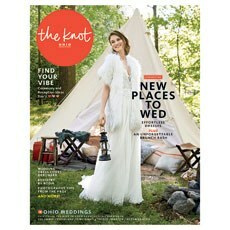 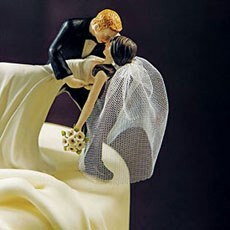 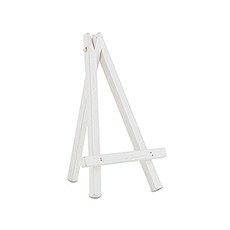 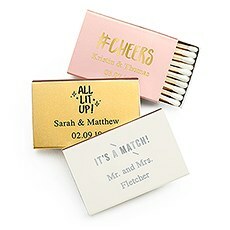 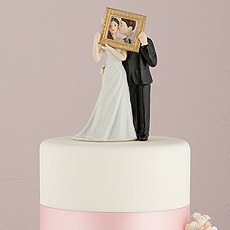 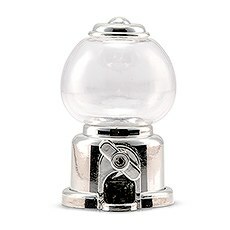 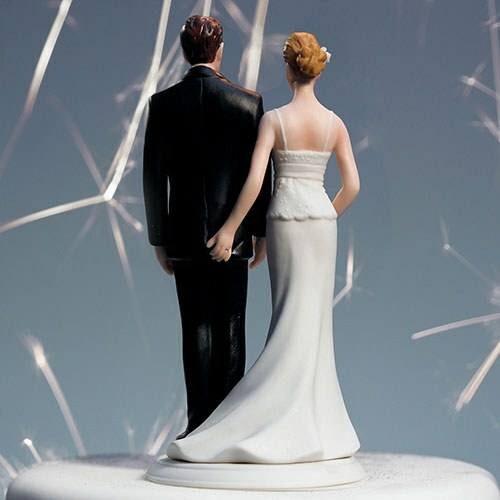 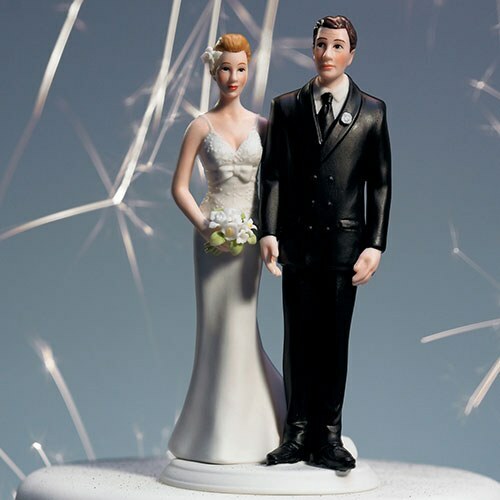 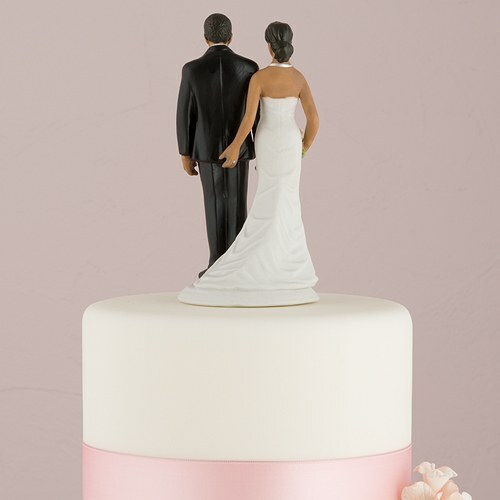 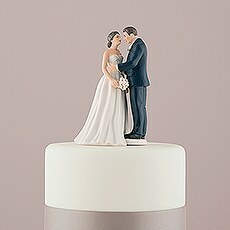 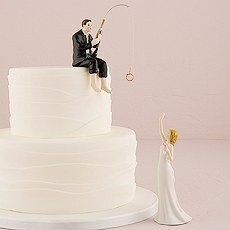 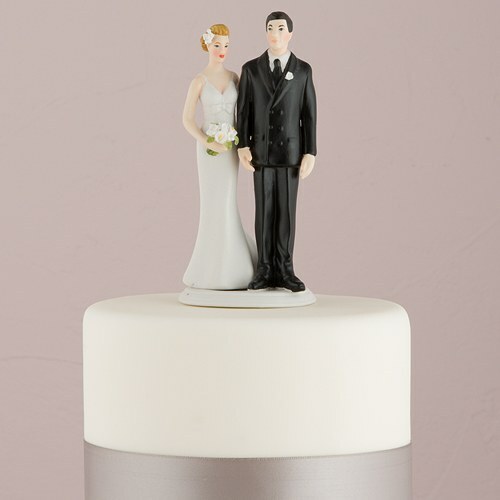 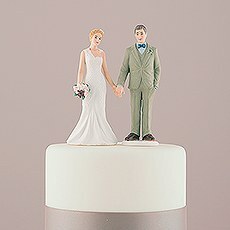 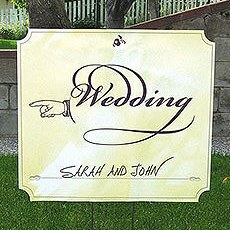 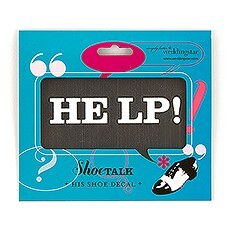 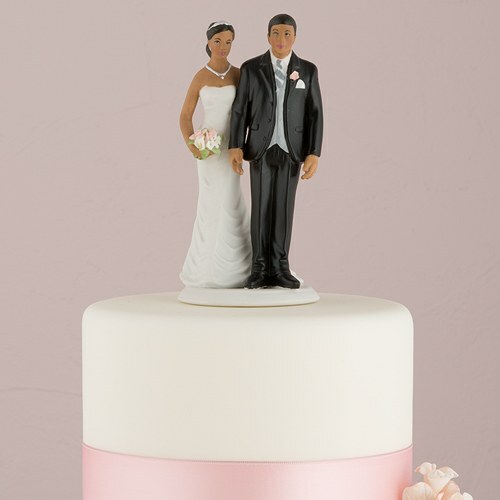 Infuse your sense of humor into your wedding reception with The Love Pinch Wedding Cake Topper. 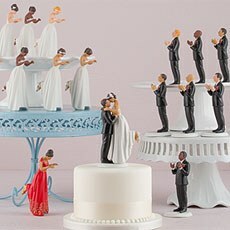 These hilarious wedding cake figurines look traditional on the outset but feature a special, subtle surprise when you turn them around. 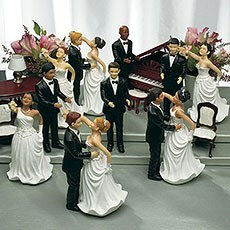 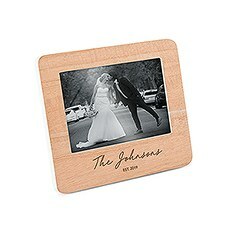 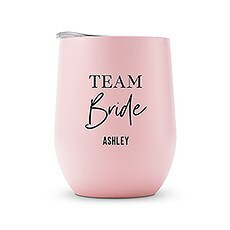 View them from the back and you'll see the bride giving her new husband a special love pinch! 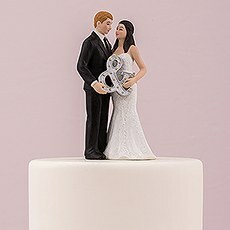 This funny wedding cake topper comes in a wide variety of hair colors and skin tones so that you can perfectly tailor it to you and your spouse-to-be. 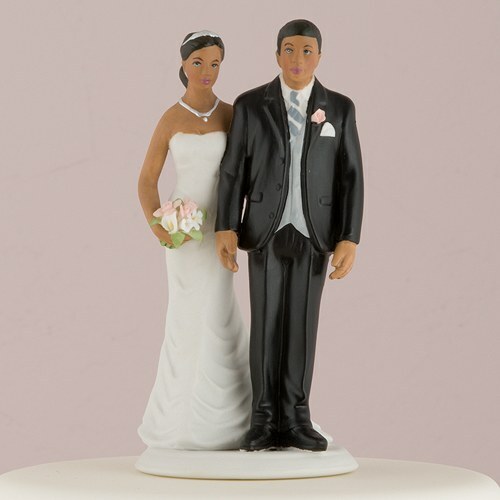 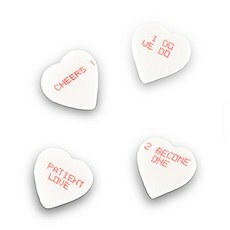 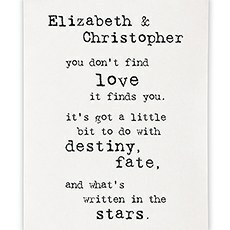 Each figurine is crafted from hand-painted porcelain, so you can be sure yours will last long after you've tied the knot. 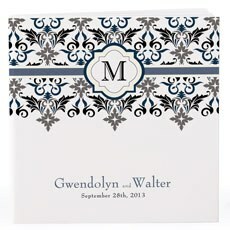 Because they're crafted by hand using time-honored ceramics techniques, each one is a 100 percent one-of-a-kind and will have slight variations.